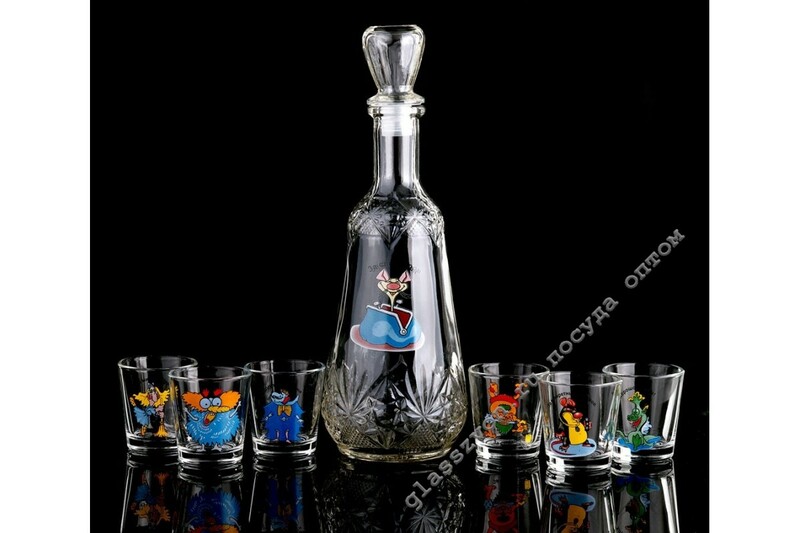 > Посуда с деколью>D / 07 "CLASSIC" N 7 subjects "JOKE"
D / 07 "CLASSIC" N 7 subjects "JOKE"
"The seven-piece set includes six glass wine glasses and a decanter with original drawings and inscriptions that will attract the attention of many buyers. The dishes can be additionally decorated with various materials, increasing the cost of the set due to individual design decisions. 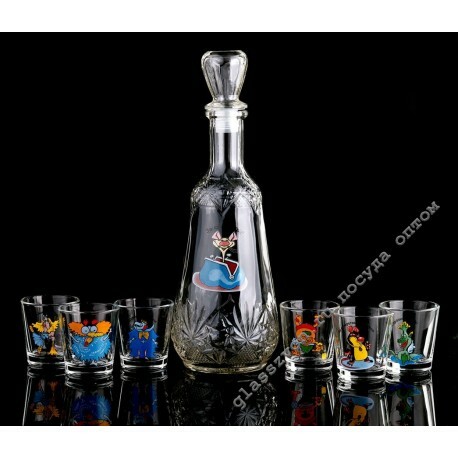 The manufacturer applies the decal to glassware using the hot-work method, which gives the images durability. Contact our managers and we will help you find the perfect product that will be the key to the prosperity of your business. "